The different features that will make your report engaging and user-friendly. Forget about boring, one-way static reports: With Publisher your audience will be able to interact with your reports in a dynamic, fun and responsive way. 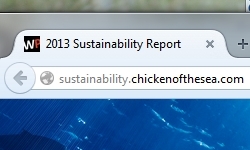 Is there a short video you’d love to add to your latest sustainability report? Publisher allows you to enhance your reports with multimedia content, interactive charts, zoom features for your maps… and more. There are a number of options to make sure your information is well displayed and easy on the eyes, offering a truly user-friendly experience. 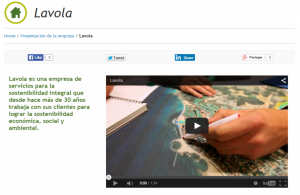 See it in Lavola’s report! All Publisher reports use responsive design, which means they will automatically adapt to your readers’ screens (not just desktop screens, but also smartphones and tablets!). Publisher offers an optimal viewing experience for your public and private reports – they’re mobile ready and designed for minimal resizing, panning, and scrolling. 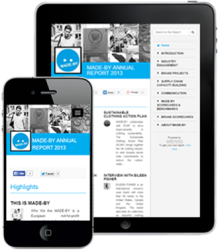 Everything has been thought through to make sure your reports are easy to read on any device. 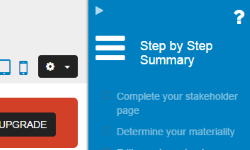 If you choose to do so, Publisher will help you maximize the visibility and popularity of your reports by directly linking them to your social media outlets, enabling them to be shared on Twitter, Facebook, GooglePlus in just one click… The platform will adapt to your needs, according to where you want your reports to be shared and seen. See it in MADE-BY’s report! 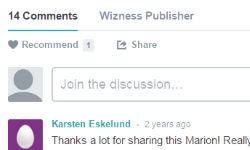 Our platform gives you the option to enable and moderate a comments section, helping your business foster social dialog, obtain direct feedback on your reports, and open up the conversation with your readers. With Publisher, interactive stakeholder engagement has never been easier. 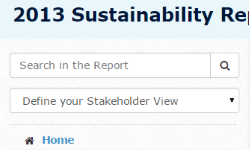 See it in the SMI-Wizness Social Media Sustainability Index! Especially when it comes to public reports, search engine optimization and branding are crucial. While private reports will normally receive an encrypted URL, public ones will either use a regular URL (publisher.com/your-report) or a entirely customized one (your-csr-report.com). See it in Chicken of the Sea’s report! Because not all your readers are the same, they won’t all need the same information at the same time. 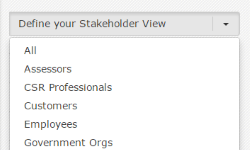 With Publisher’s tailored stakeholder view you can choose who sees what sections of your reports. 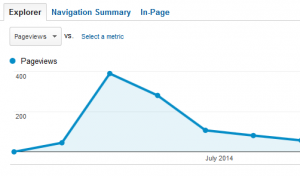 This means you’ll be saving time and resources (and keeping your readers happy!) by giving each stakeholder group personalized access to the data you want. See it in UPS’ report! To get the most out of the charts you’ve carefully included in your reports, Publisher gives you the option to automatically centralize all of your tables, maps and graphs in an easy-to-use library. Your readers will be able to conveniently display, customize and export your data according to their needs. With the Download Manager, Publisher helps your readers download your report as a PDF file. They will be able to select downloadable sections according to their stakeholder groups and automatically receive a report that’s tailored to their interests, or manually select the sections and pages they wish to download. You can’t remember exactly what you wrote on optimized fuel-use in your transportation network? No problem, type in your keywords and Publisher’s built-in search engine will scan your reports and help you find the information you need, when you need it. See it in CCIB’s report! All the tools you’ll be using to publish your best report ever. If you’re working on multiple internal and external reports within your company, Publisher will help you save time and manage your projects better by organizing them in your Company Reports Library. When more than one person has been improving and modifying the same report, it can be difficult to keep track of progress. 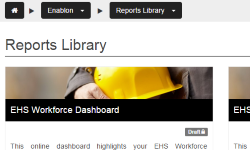 Publisher helps you control who’s doing what in your report, by allowing you to assign roles (e.g. 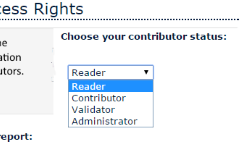 ‘validator’, ‘contributor’), set workflow validations and define different contribution levels, helping you to work more efficiently and ensure better follow up. 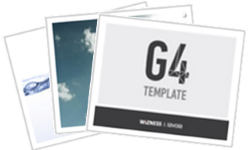 Take your pick from our different reporting templates or create your own to meet your needs. Our templates help you save time and resources by breaking down the reporting structure according to some of the worlds’ most well-known and utilized reporting frameworks, such as the GRI, CDP, GRESB etc. Discover all the available templates! With the Assistant Wizard, we’re with you from start to finish. Because we take user-friendliness seriously, we make sure to clearly explain the steps you’ll need to follow to create quick, easy and great looking reports. 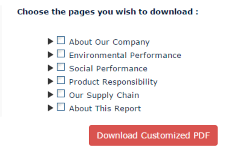 To make your Publisher reports stand out, we offer a wide range of customization options to best reflect your message and what your business is about. 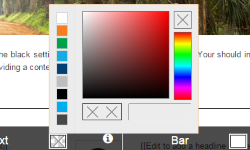 Select your design theme and color palette and create a look that brings the best out of your reports. If you want to closely keep track of how your report is doing in terms of visits and audience, we can provide you with the personalized code you’ll need to access Google Analytics. We know that APIs are becoming increasingly important in the software industry. This is why we make sure to provide you with one that’s strong yet flexible, and at the same time, reliable and secure. 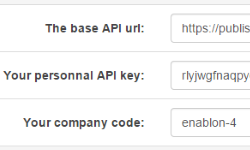 Our API will allow you to save time and avoid unnecessary manual data transfers by easily connecting the Publisher to any data-collection software. 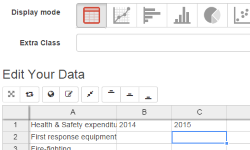 We make sure your charts and tables always look great by helping you edit and enhance them easily. 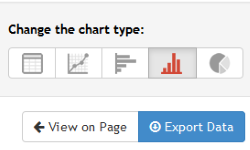 With Publisher’s Chart Editing feature, you’ll be able to create interactive and unique diagrams your readers will be drawn to. The Versioning feature is designed to help administrators track, approve and decline changes in a report. 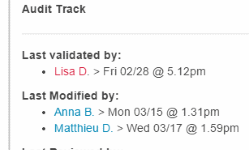 Each validated version will be saved so you’ll always be able to roll back to a former version of your report. WANT TO START USING THESE GREAT FEATURES NOW?